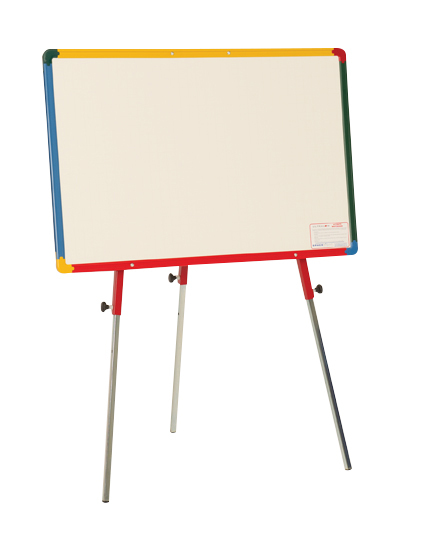 Whiteboard easel with an adjustable sturdy tripod stand to accommodate most ages. Whiteboard is landscape orientation and 900mm wide x 600mm high. This board comes with a multi coloured frame and rounded safety corners. Available in 3 surfaces - magnetic, non-magnetic and chalk. The non-magnetic surface has a faint 25mm grid for writing alignment. This easel is freestanding but can also be used on a desk or table top. Next day delivery if ordered before 12pm, subject to stock availability.